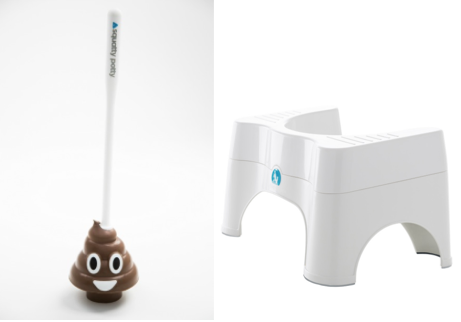 Home General *EXCLUSIVE GIVEAWAY* WIN a Squatty Potty and Poo Emoji Plunger! OK friends, it’s time to talk some crap…literally! As a mom to three boys, I’m sure you can imagine there’s a lot of “potty humor” going on in my house. But you know what’s NOT funny?? Constipation! “This is the first crappy investment I like,” Kevin O’Leary said. “But how do you squeeze out a profit?” Mark Cuban asked. They ended up making a deal with Lori Greiner and three months after that, they’d already sold a total of $12.3 million. And with the effectiveness of the Squatty Potty, there’s been an increase in the load of people’s toilets. 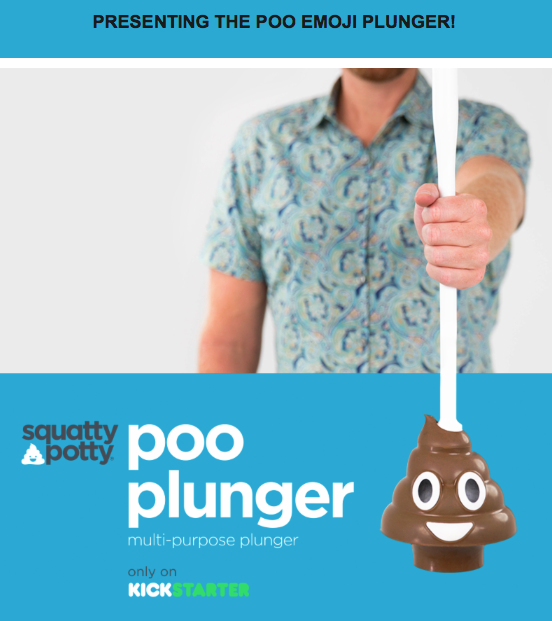 So in response to numerous requests, they just launched a kick-starter campaign to add a Poop Emoji Toilet Plunger to their line. And here’s a deal for you: the first 100 supporters will receive $5 Off…making it just $15. Plus, there are special discount/bonus packages available. Check out the campaign over HERE. 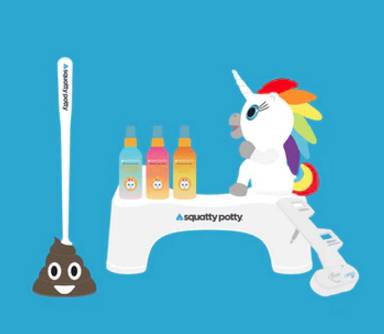 Plus, we’ve got an EXCLUSIVE GIVEAWAY where you can win a Squatty Potty AND a Poo Emoji Toilet Plunger ($50 value)! Head over to the ModMomTV Facebook page and comment on the video HERE*. Follow the steps to earn bonus entries. *Both are required to be eligible to win. Next articleMastermind Strategy Game only $6.97 + FREE Pickup (Reg. $16.99)!